The VW Passat is one of the larger entries in a segment including the Nissan Altima, Honda Accord, and Toyota Camry. Though a Passat wagon has been available in the past, VW does not currently offer one in the States. The U.S.-spec, mid-size Volkswagen Passat sedan is built in Chattanooga, Tennessee, and is a completely different vehicle than the European version, which is built in Germany. For 2020, VW debuted a new Passat design at the 2019 North American International Auto Show—with emphasis on design, since the Passat's underpinnings are largely carried over from the outgoing model that dates back to the 2012 model year. The new model has a sleeker roof line that gives it the look of a hatchback, but it retains a conventional trunk lid. Under its hood, the Passat retains a 2.0-liter turbo-4, 6-speed automatic transmission, and front-wheel drive. 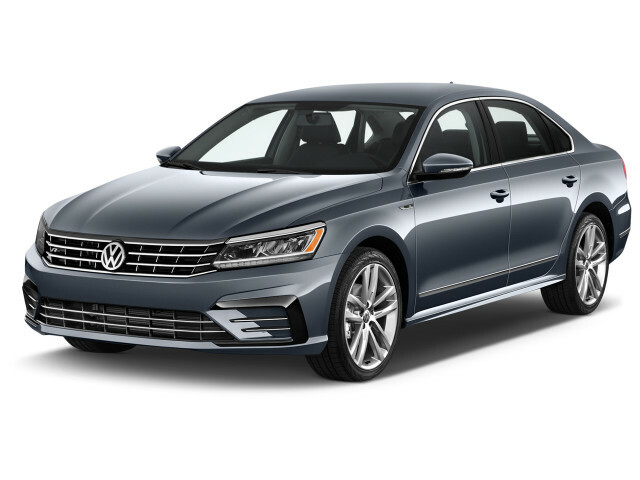 The Passat launches first in summer 2019 with a 174-horsepower, 184 pound-feet of torque version of the engine before a version with 207 lb-ft replaces it by the end of the calendar year. Inside, the Passat has a fresher look with a standard 6.3-inch touchscreen for infotainment with standard Apple CarPlay and Android Auto compatibility. Its dimensions are largely unchanged, meaning the Passat still has excellent rear-seat leg room and outward vision. 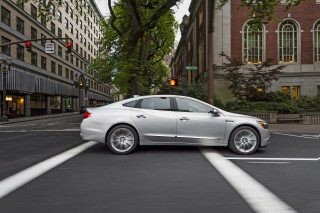 Automatic emergency braking is standard, while adaptive cruise control is on the options list. In the U.S., the Passat's lineage goes all the way back to the Dasher sedans and hatchbacks of the 1970s and the Quantum models of the 1980s—the latter of which were, notably, offered with VW's Syncro all-wheel drive. While the Passat name had been used elsewhere on those models, it wasn't until the third generation that the U.S.-market version also adopted the same badge. That model's unique front-end styling did without a conventional grille opening, and the rest of the design was characterized by lots of glass and a low hood; the interior made good use of space for passengers, thanks to the tallish proportions. Though the interior quality didn't surpass that of the less-expensive Jetta, the Passat had a comfortable ride, in part thanks to its longer wheelbase. At the beginning of this generation, only low-power 2.0-liter 4-cylinders were available, but VW added its narrow-angle VR6 and diesel options later in the cycle. The next complete redesign the Passat got, in 1998, was revolutionary. VW switched its mid-size sedan to the same platform as the Audi A4, and everything from its ride to its driving manners felt much more upscale and sophisticated—either compared to the previous Passat or to U.S. rivals like the Camry, Accord, and Taurus. Most Passat models from this era included either a 170-hp, 1.8-liter (1.8T) turbo 4-cylinder or a 190-hp Audi-derived V-6. Between these two engines, there's surprisingly little difference in acceleration, though the smoother V-6 makes it feel more like a luxury car. A short-lived Passat W8 model (2003-2004) featured a special 270-hp, narrow-angle eight-cylinder engine, but its $40,000 price tag, heft, and thirst just didn't add up to much appeal. Throughout this generation, all-wheel drive was available on most of the model line. For 2006, the Passat changed for the better for Americans, becoming a little roomier and more comfortable, though they bypassed some of the sportier driving feel of their predecessors for refinement and more features for the money. 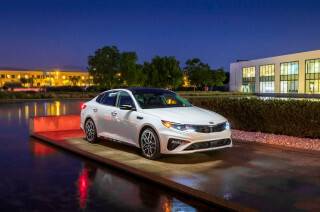 Most of these Passats, which weren't significantly changed through 2010, came with an excellent 200-hp, 2.0-liter four-cylinder engine and a 6-speed automatic transmission (though a 6-speed manual was also on offer). A 280-hp, 3.6-liter VR6 engine was offered from 2006-2008, and was required for all-wheel drive, but it was never a popular choice because it was so much more expensive. Across the board, this generation of Passat came with a long list of standard features, including standard side-curtain bags, with rear thorax bags an unusual option. We found this Passat to be one of the quietest cars in this class, with a roomy backseat and nice interior materials. But a requirement for premium fuel might make these models less appealing as used cars. In mid-2011, a new 2012 Volkswagen Passat was unveiled, designed specifically for our market and unique from the model offered in Europe. With a somewhat larger body, the Americanized made-in-the-U.S. Passat gets a massive rear seat, while some cost cutting has led to a slight downgrade in refinement. But with a lower base price of around $25,000, we've found the new Passat to be particularly attractive. The Passat also has impressive handling and a very comfortable ride. At launch, the base Passat came with an inline-5 that was dull and not as responsive as base engines in rivals like the Ford Fusion or Hyundai Sonata. A new 170-hp, 1.8-liter turbo-4 was introduced in 2014, and for 2015 it became the Passat's base engine when the inline-5 finally was dropped. 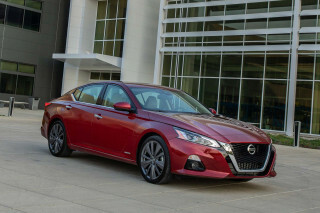 Other launch powertrains included the turbodiesel version, which had good power and exceptional fuel economy, as well as a V-6 that is geared to the few buyers who really want more luxury features in a family sedan. We had a 2012 Volkswagen Passat TDI for an extended Six-Month Road Test and found it to be an excellent long-distance cruiser—one with real-world highway mileage well into the 40s. Aside from some powertrain and options shuffling, the Passat has changed very little over the past several model years. In the current Passat, those coming from former versions of this sedan (or even Honda Accords) may not like the swaths of grainy plastic, and there's more wind and road noise than one might expect. Another change is the very limited number of build combinations. For instance, you couldn't get a cloth interior with the TDI engine or VR6, and most models have synthetic leather rather than real leather trim. A USB port was also lacking until 2016. VW made a rearview camera system available beginning in 2013, and on the 2014 Passat, a Technology Package became more widely available and permits adding the backup camera and touchscreen audio at an affordable price. In the 2015 model year, VW swapped out the former turbodiesel for a new design that was slightly more efficient in the EPA's highway cycle. 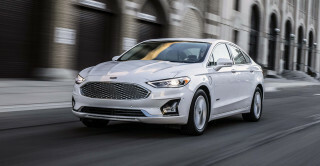 The gas 2.5-liter inline-5 is now completely gone from the lineup, replaced in all entry-level cars with the much more modern 1.8-liter turbocharged 4-cylinder. In 2016, Volkswagen updated the Passat's exterior with new front and rear bumpers and a new grille. Its latest infotainment system was plugged into the dashboard, and supports smartphones with Apple's CarPlay and Android Auto. Active safety features such as forward collision warning with automatic emergency braking and blind spot monitors were added to many trims. In 2017, Volkswagen carried over the Passat largely unchanged. For 2018, the 1.8-liter engine was scrapped in favor of a 2.0-liter turbo-4. Although not much more powerful than the 1.8, the 2.0 delivers better fuel economy. Also, more trim levels gained active safety tech for 2018. 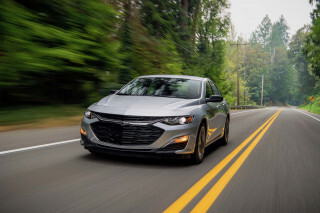 The V-6 engine was dropped for 2019 and the lineup was pared to just two trim levels. Nice safe car, windshield problem.